This fabulous restaurant-like farmhouse kitchen is the work of designers Jennifer Reiner and Robert White. 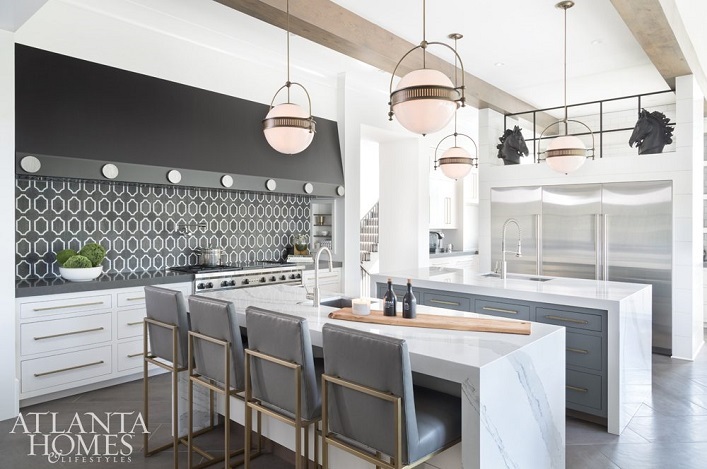 Infusing unexpected features such as a custom 13-foot vent hood with an industrial flair and dual islands wrapped in marble, this cutting-edge kitchen is undeniably grand and gorgeous! 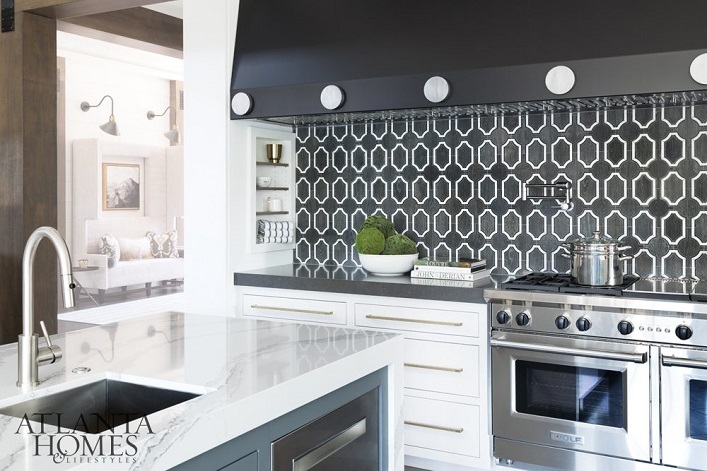 The geometric porcelain tile backsplash create an effortlessly modern feel while being a dazzling focal point in the space. The classic pendants with brass detailing are chic and beautiful while exuding an air of timeless elegance. The dark gray leather counter stools look sleek and luxurious, the perfect addition to this casually chic room. 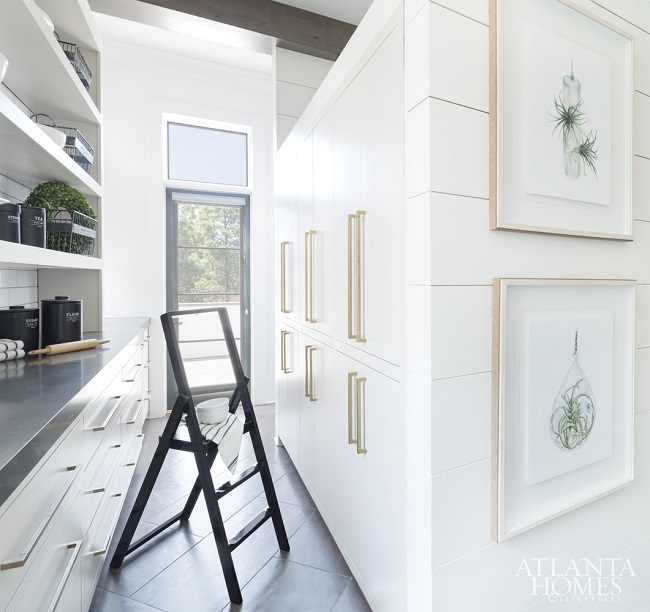 High-functioning, inviting and awe-inspiring, what's not to love about this remarkable kitchen? Your thoughts? Who wouldn't want to create a meal in this kitchen. Especially like the pendants.